It’s normal for people to spend between 25 and 30 percent of their income on rent – that’s what’s considered affordable. According to the Bureau of Labor Statistics’ Nashville-Area Economic Summary, Nashville residents are spending, on average, 32 percent on housing… and many of those people would likely be better off buying. But how do you reach renters? Further, how do you show them they’ll benefit from buying? There are hundreds of apartment buildings from Nashville to Franklin (and everywhere in-between). Other than launching a direct mail campaign, which we’ll cover in a future blog post, there are a handful of ways to reach your target market. Let’s be honest: many renters think that buying is out of reach. The truth is, though, it’s not. It’s just up to you to show them how it can be done. When you’re talking to renters who are on the fence, so to speak, you can refer them to the NAR and Ginnie Mae Buy vs. 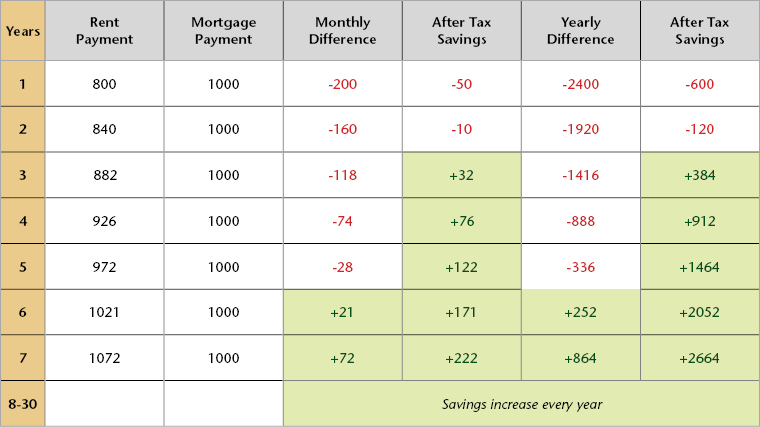 Rent chart, which illustrates how much people will save over time if they make the switch. While it’s not exact, and it may not be right for everyone, most people – especially in the Nashville area, where people are shelling out a huge chunk of income for rent – really will benefit from buying a home. Ready to become a Benchmark Agent so that you can have take advantage of our Total Freedom concept? We give you the tools – and the time – you need to push your career to the next level. Just call us at (615)371-1544 or fill out the form below.